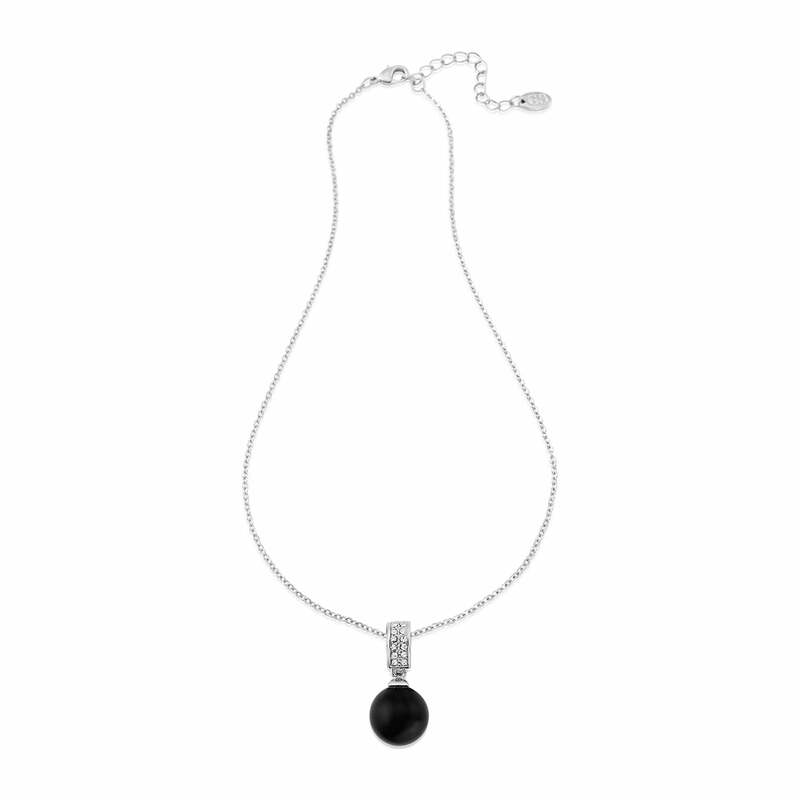 An elegant 1950s monochrome pendant which takes influence from classic retro designs. Taking inspiration from classic pendants from the 1950s, our Ebony Elegance Pendant is the epitome of class and sophistication. Adorned with a deep jet pearl suspended from a myriad of sparkling clear crystals this timeless piece has captured the elegance and glamour of Old Hollywood with a slight modern twist. Perfect for all occasions from lunch to a glitzy evening do, coordinate with our matching Ebony Elegance collection of monochromatic jewellery and hair accessories for a look sure to attract an admiring glance or two. For a black and white wedding theme, look striking in this fabulous wedding necklace teamed with an elegant figure hugging gown or dress up your bridesmaids’ style and accessorise the ultimate little black dress.